Last October, I purchased the Pink Ribbon Mystery Hamper through Lust Have It! 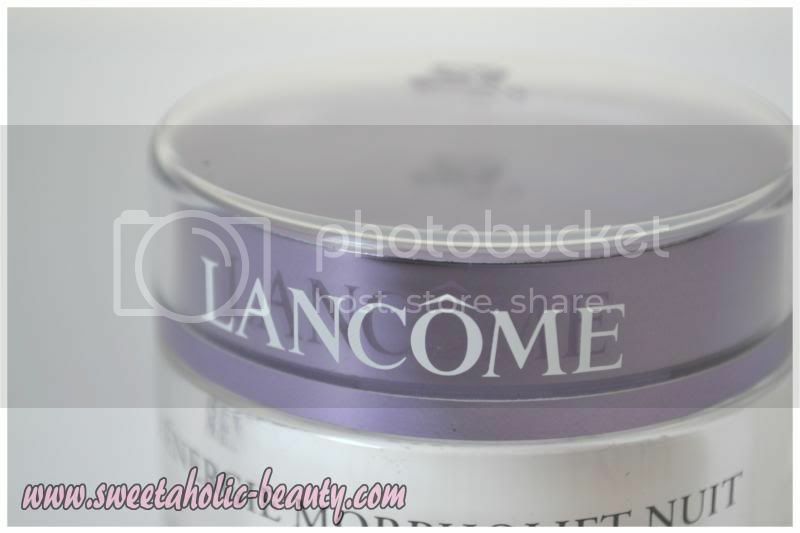 (you can read about it here), and the very lovely Lancome Renergie Morpholift Nuit R.A.R.E Night Cream was included! I was astounded by this, as the mystery box itself was a measly $49, whereas this night cream retails for at least double that! I've been using it on and off since then, and have been loving it. 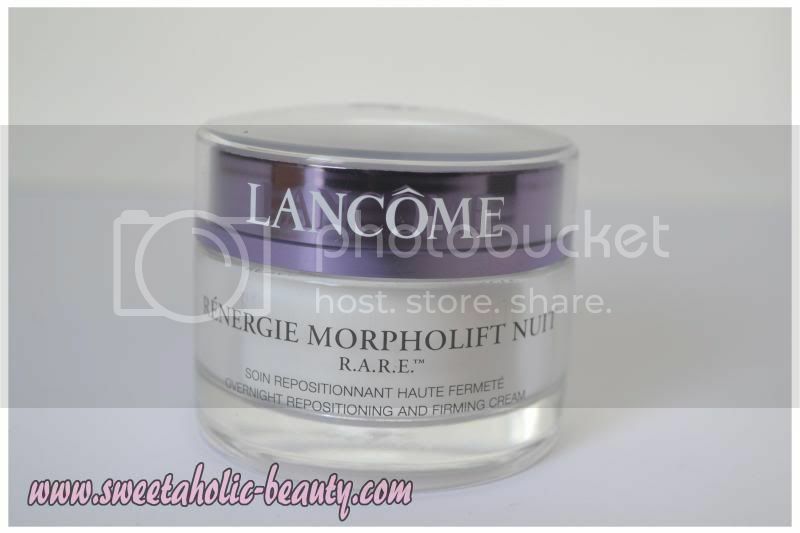 The Lancome Renergie Morpholift Nuit R.A.R.E Night Cream is cased in an oh-so-sophisticated 50ml glass tub. I was a bit surprised that 50ml was worth such a hefty price-tag, but upon actually using the product, I realise that this tub will have a healthy and long life on my vanity! Lancome claims that this night cream will leave you waking up with firmer and younger skin, signs of fatigue disappear and contours are better defined. A little of this gorgeous peach coloured cream goes a long way, and you only need the tiniest amount to cover the face and neck area. The cream has the delightful scent of roses, which could be interpreted as "nana-like" however I actually really like it. This amount is more than enough to cover my face and neck. The cream is incredibly lightweight and non-greasy. The rose scent doesn't linger, which is fantastic for those of you who don't enjoy it! 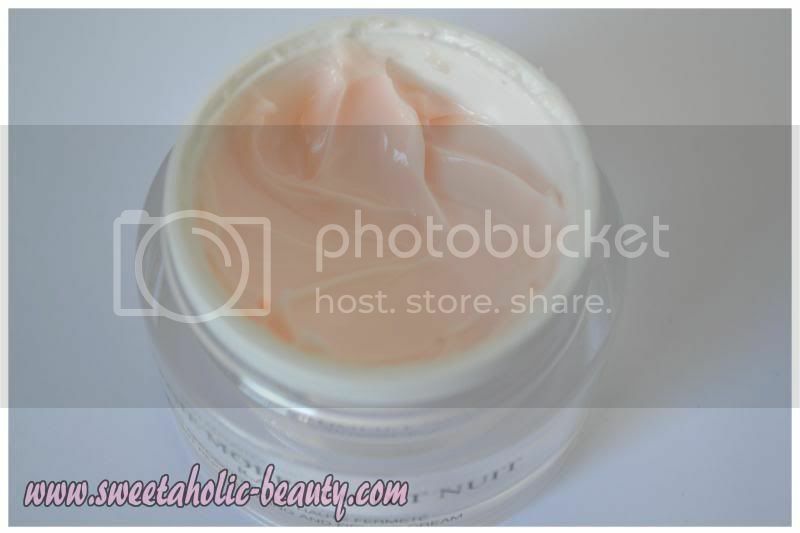 This night cream absorbs really quickly into the skin also, so I'm not going to bed with a creamy or greasy face. Ultimately, I'm immensely disappointed that this particular cream has been discontinued, as this is certainly something I would be buying again. 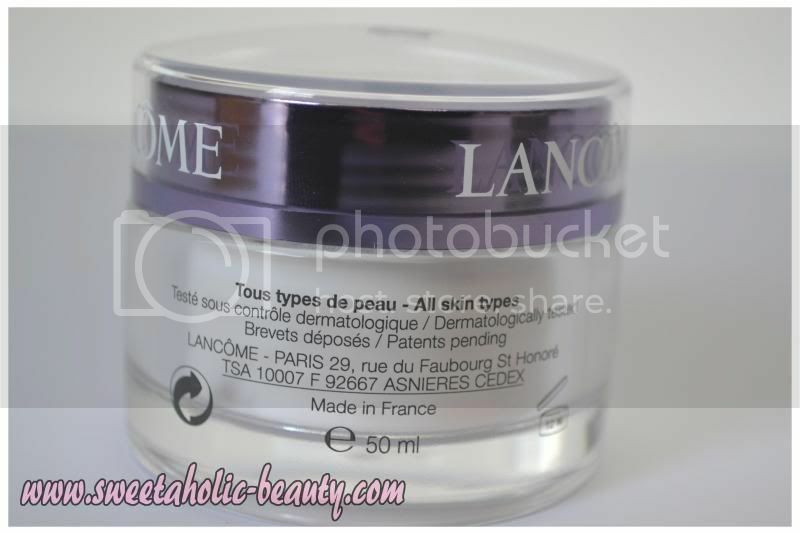 I'll be interested to try Lancome's updated version of this cream when my tub runs out, and I'll be purchasing the eye cream to match. The Lancome Renergie Morpholift Nuit R.A.R.E night cream is one of my absolute favourites, and it has changed my skin for the better! At first, I decided there would be no way I would repurchase this at such a steep pricetag, but after using this, I wouldn't even hesitate handing over my credit card for this beauty! Have you tried this cream? If so, what did you think? Could you justify spending this kind of money on a night cream? I'm pretty sure there are still some tubs floating about the internet, but I definitely want to try the updated version! When I eventually get it, I'll definitely do a comparison! Ah that's a shame, but each to their own of course. After reading your review I'm really tempted to pick this up when I have the extra pennies!